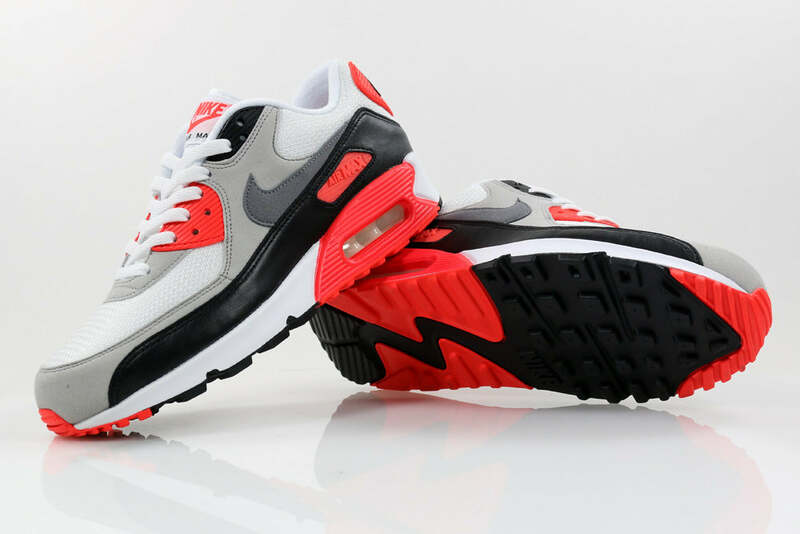 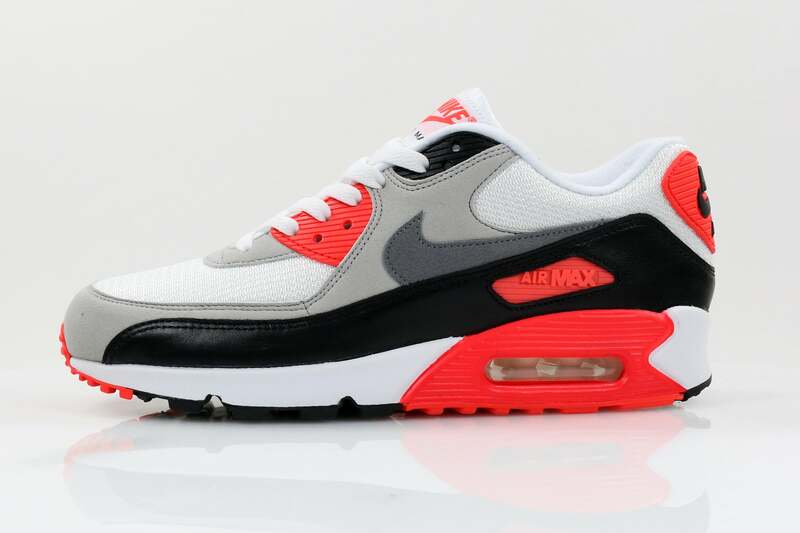 For Summer 2015 Nike re-issue two original colourways in the Air Max 90. 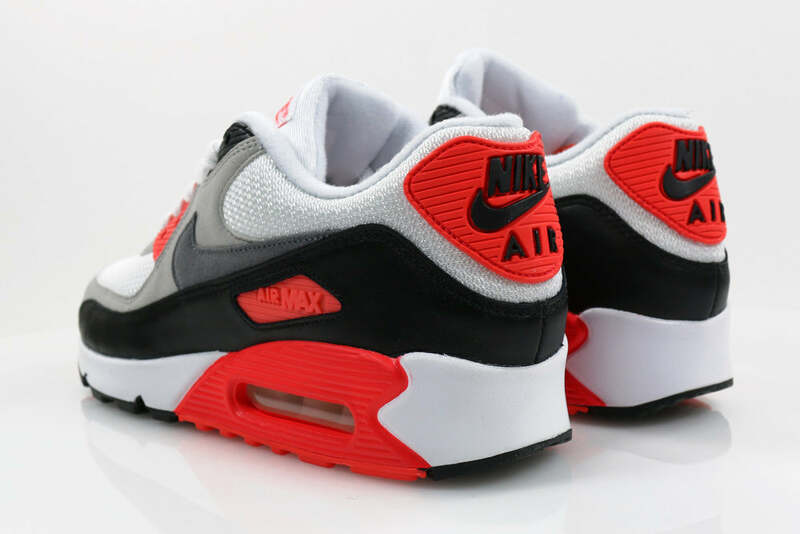 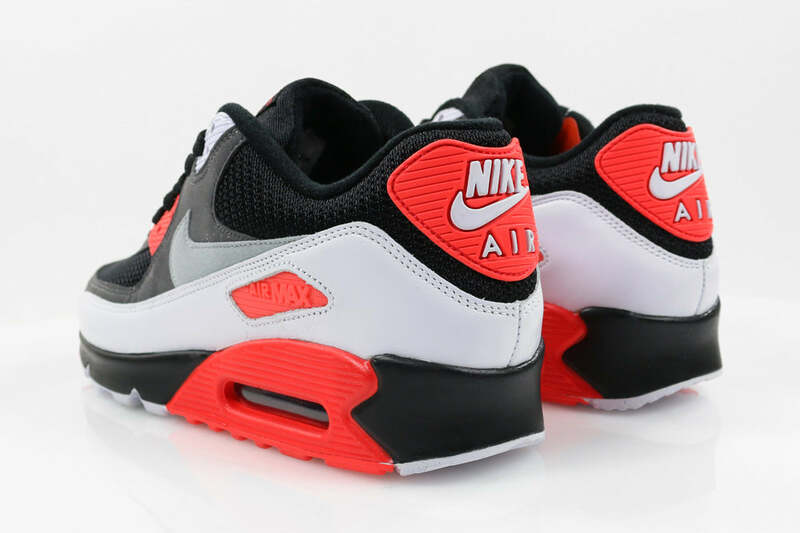 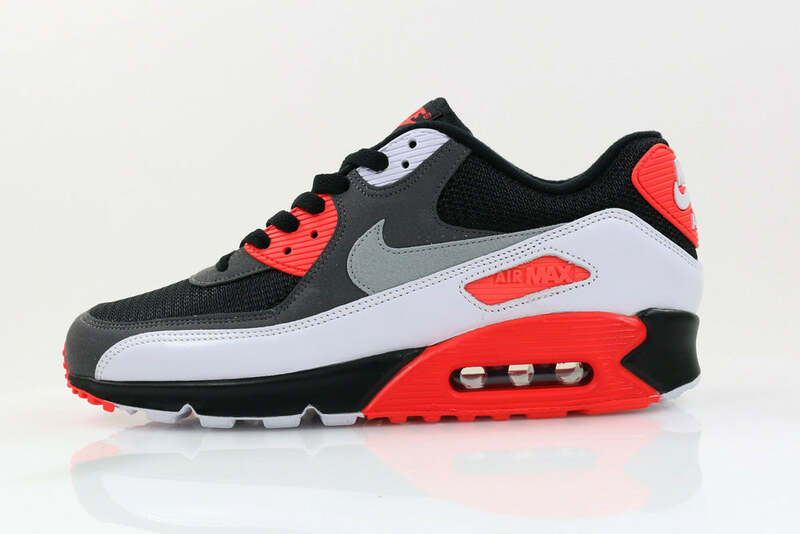 The first of which is the iconic “Infrared” colour way which we all know and love. 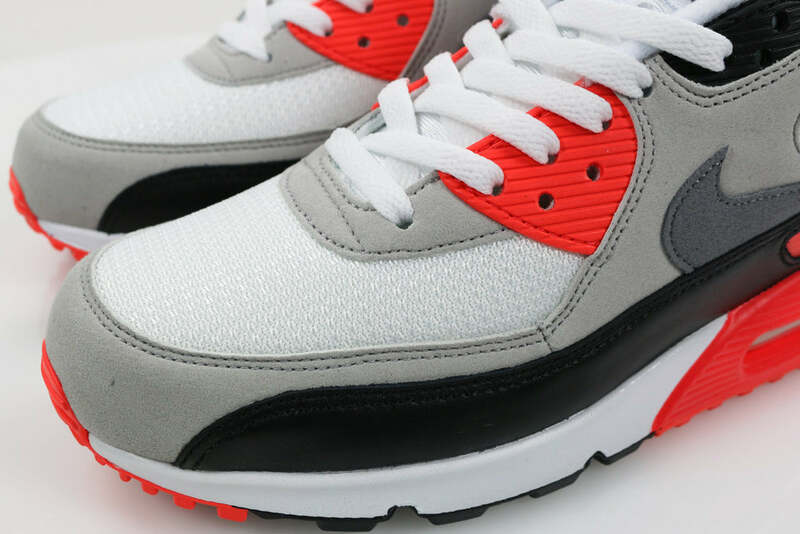 Constructed from a blend of white mesh, grey synthetic textile and black leather. 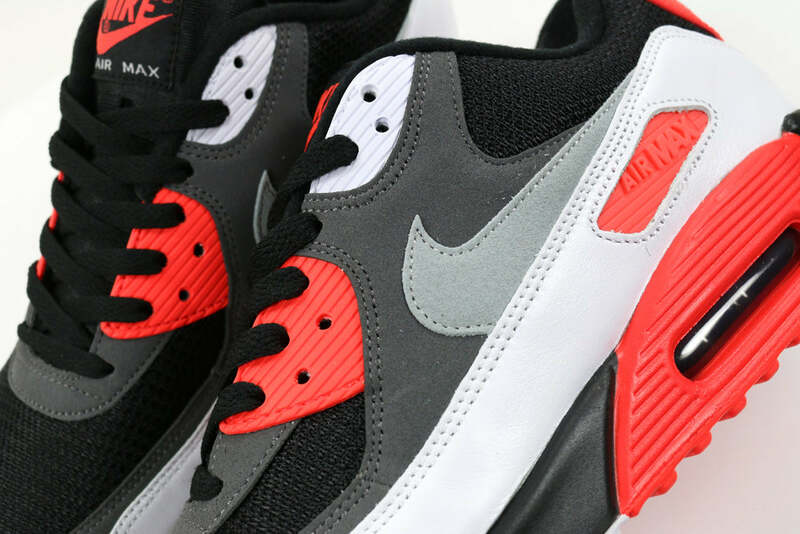 The second colour way is a flip of the aforementioned classic, with black mesh, slate grey synthetic textile and white leather. 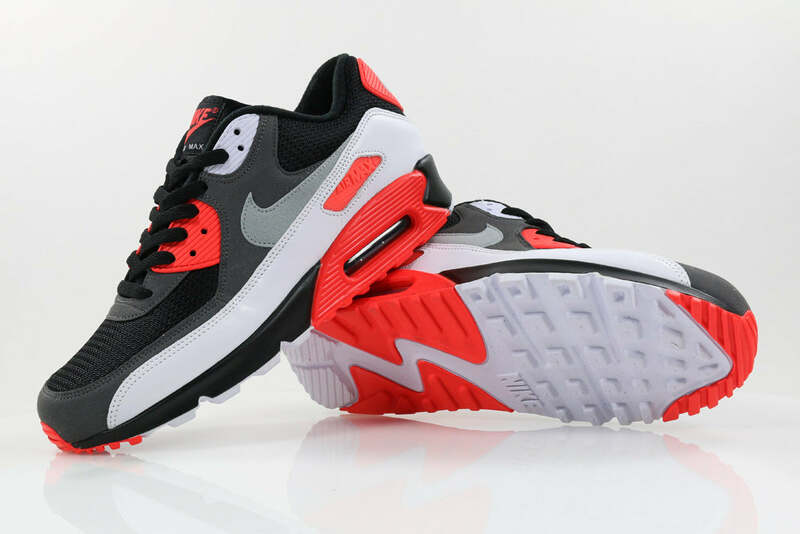 Both shoes feature vibrant infrared accents throughout the upper and midsole.